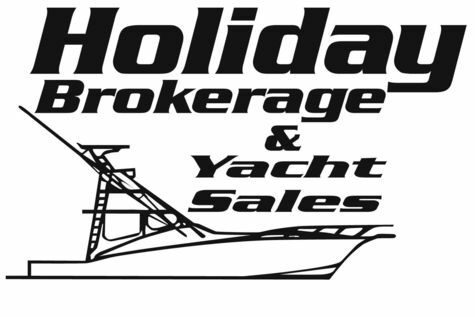 Holiday Brokerage & Yacht Sales is located on site at Holiday Harbor Marina in Waretown, New Jersey. Holiday Yacht Sales is a full service brokerage and marina. We have a 50-ton travel lift, a 15-ton travel lift. 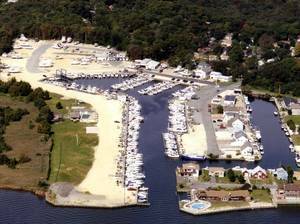 Holiday Harbor Marina services include all diesel service repairs, outboard and inboard gas engine repairs, a welding and rigging shop and a canvas repair shop. All of your marine needs are accommodated. Our amenities include a swimming pool, barbecue pit, outdoor pavilion and clean laundry and bathhouse facilities. Deepwater access to Barnegat inlet - 3 miles. Holiday Harbor has a combined 40 years experience in the marine industry. Whether buying or selling, let Holiday Brokerage hard working staff take care of all your needs. VERY CLEAN, CONSTANTLY MAINTAINED & UPDATED BY A KNOWLEDGEABLE OWNER. DESIRE-ABLE MTU'S. BOTTOM PAINTED - CLEANED, DETAILED, ZINCED & PROPS TUNED. VESSEL IS OFFSITE PLEASE CALL FOR APPT.